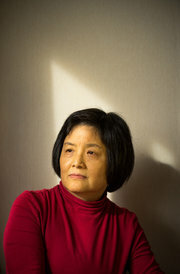 A lawsuit filed by the daughter of retired Communist Party official, Li Rui, challenges the legality of airport seizures in China after a book by her father — an unvarnished account of his experiences in the leadership — was confiscated by customs officials. The country’s border controls have sharpened dramatically in recent years, making it much riskier to bring banned books to mainland China, say publishers and authors. The New York Times reports. Li Nanyang is challenging the confiscation of copies of a book by her father, Li Rui, a party elder. Credit Sim Chi Yin for The New York Times. BEIJING — When Li Nanyang flew here from Hong Kong two years ago, she brought something eagerly anticipated by many Chinese historians and thinkers: several dozen copies of her father’s memoir. In it, Li Rui, a 98-year-old retired Communist Party official, offered an unvarnished, insider’s account of his experiences in the leadership. But as Ms. Li passed through customs at the airport, the authorities seized the books, an experience shared increasingly by Chinese travelers arriving home. Though China’s censorship of the Internet is widely known, its aggressive efforts to intercept publications being carried into the country have received less notice. Ms. Li hopes to change that with a lawsuit she has filed in Beijing challenging the legality of the airport seizures. She doubts she will get her books back, but she is seeking something perhaps more potent: an official explanation for an act of censorship. Li Rui provided the opening address to a two-day 2012 symposium on the impacts of the Three Gorges Dam, held at the University of California, Berkeley. The address was delivered by his daughter, Li Nanyang. An interview with Li Rui appeared in Yangtze! Yangtze! — a collection of interviews, essays, and statements by Chinese scientists, journalists, and intellectuals opposed to the massive Three Gorges dam on China’s Yangtze River. Originally published in 1989 and published in English by Probe International in 1994.